Eric brings unique and valuable experience both from within the ski industry, and from outside it. 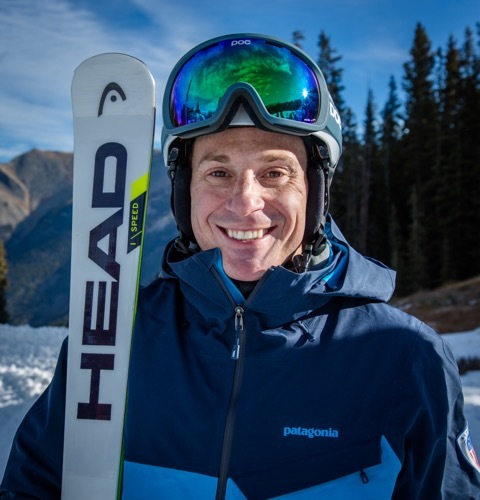 As a current 3-term member of the PSIA-AASI National Alpine team, and a seasoned ski pro of over 20 years, Eric has traveled throughout the country (and the world) coaching coaches, instructors, and US Ski Team athletes on the finer points of sliding on snow. Just as important as Eric’s on-hill coaching skills, are Eric’s ideas and successes in working with Snowsports Directors and instructors to create more meaningful connections with first time skiers and riders. Eric has written numerous published articles and presentations teaching those important skills. Additionally, Eric comes to SNOW with a background and education in business management, having owned and operated a multi-faceted retail operation outside the ski industry.